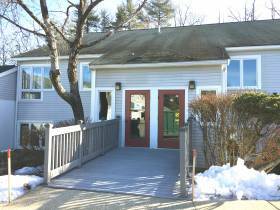 Prolman Realty, Inc. is pleased to announce it has been selected by MYRELL, LLC to market for sale 74 Northeastern Boulevard Units 13 and 14 in Nashua, NH. The unit consists of 4,800 square feet and is located in the Northbridge Business Center situated between exit 4 and 5 off the Everett Turnpike. According to Mark Prolman, “the property is excellent as an investment or an owner/user who can utilized the 2,400 square feet of vacant space and the remaining 2,400 square feet of leased space for rental income or expansion space in the future.” The asking price is $349,000.00 or $72.00 per square foot.